Named #1 Sports Bar by D Magazine, and Top 10 Sports bar by USA today, Christies Sports Bar & Grill is premier sports-watching venue in Dallas. With over 62 HD TV’s & 3 120” projector screens, it is the #1 location in Dallas to watch your favorite game. Family owned and operated since 1991, Ashton and his staff have made it their commitment to provide amazing service and a place cherished in the Uptown area for many years.  Christies is the Original Sports Bar in the Uptown Arts District, near the downtown Dallas area. We are located just four blocks north of Pearl Street on the West side of McKinney Avenue. Open 7 days a week, kitchen open until midnight and bar open until 2AM come see why Christies is the Cheers of Uptown!